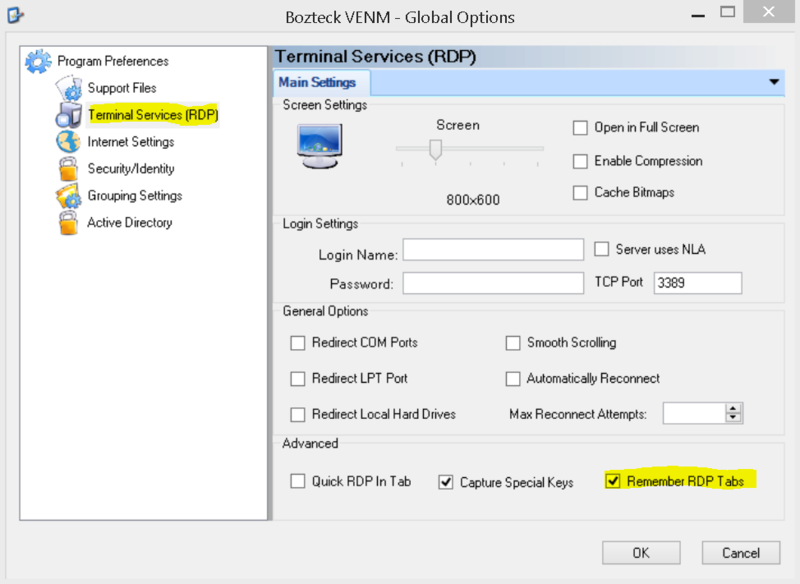 Bozeck VENM Remote Desktop Manager now remembers the tabs that you had open the last time that the program was running and allows you to re-open them upon relaunch. This is a frequently requested feature and we are excited to add it to version 2015.7.3 today! 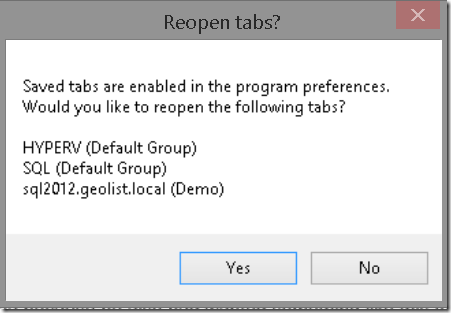 This option can be turned on and off in the main program preferences shown below. Let us know what features and developments you would like to see in future releases! This entry was posted in Announcements and tagged bozteck, remote desktop, tabs, venm. Bookmark the permalink.